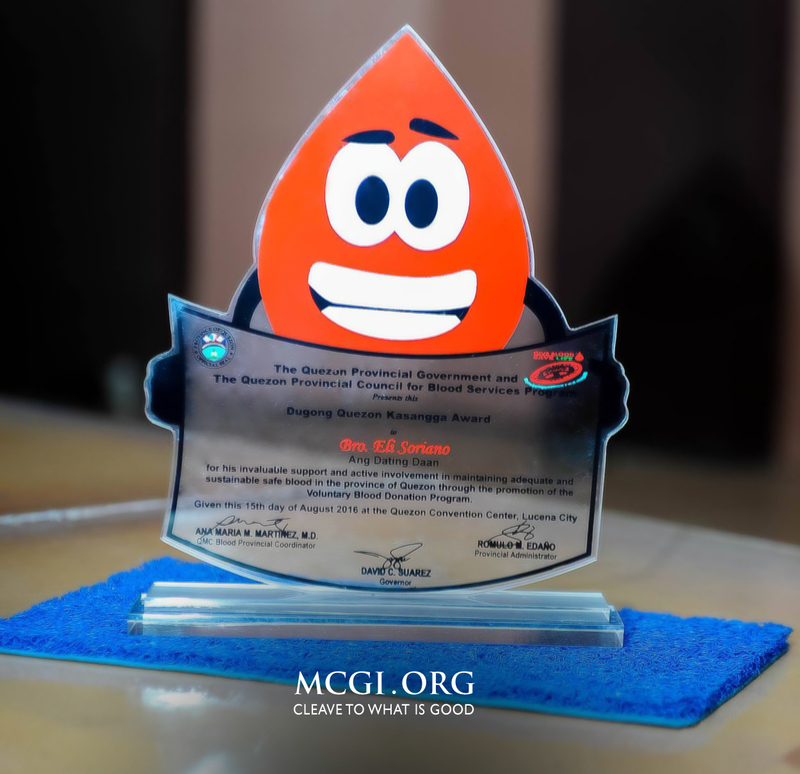 MCGI was recognized for its continued support, commitment and involvement in the mass blood drive efforts of Quezon province’s local government. 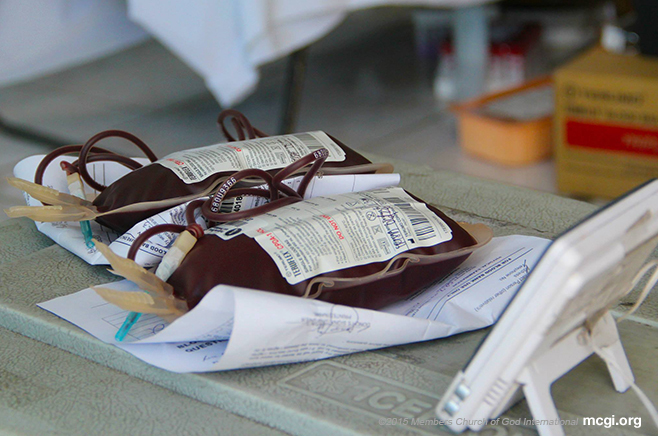 In collaboration with the Quezon Provincial Blood Council, MCGI had organized 200 blood donation drives throughout the province as of this month, yielding 150 bags of blood. On behalf of the organization, MCGI Helper of the Ministry Bro. Roland Antonio received the award and shared why the group perseveres with its blood donation endeavors as well as its other charitable efforts. “It is our obligation to do good to everyone and the advocacy of this church is ‘Good deeds will bear no evil fruit’,” remarked Bro. Antonio. The Members Church of God International (MCGI), a religious organization served by Bro. Eli Soriano and Bro. Daniel Razon, is a strong supporter of Quezon provinces’ public service for its constituents, helping sustain the province’s blood supply for patients in need. 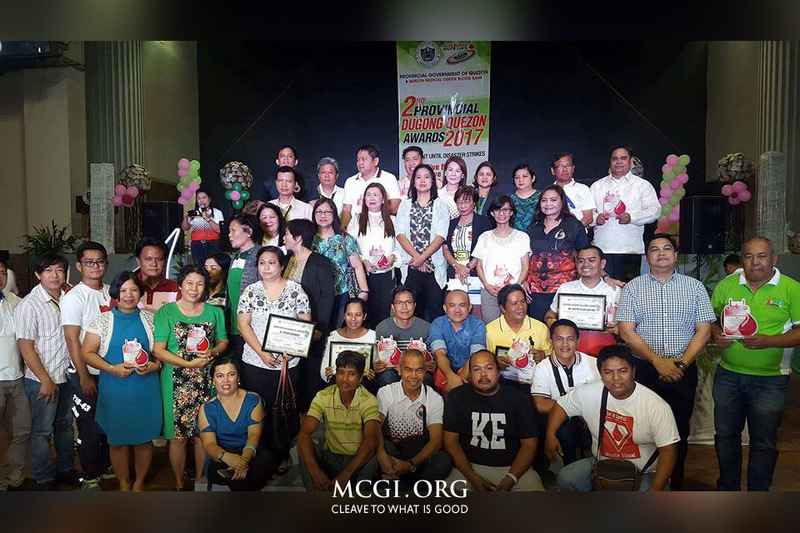 Applauding the dedication of the religious group, Rommel Edaño Jr., the Provincial Administrator of Quezon Province thanked MCGI’s Overall Servants for their continuous mass blood donation campaign. “Thank you so much Bro. Eli Soriano and Bro. Daniel Razon! Every year, it is impossible not to recognize your organization [in the Dugong Quezon Awards]. Hopefully in the coming days, we will still be working together in these projects,” said Mr. Edaño. 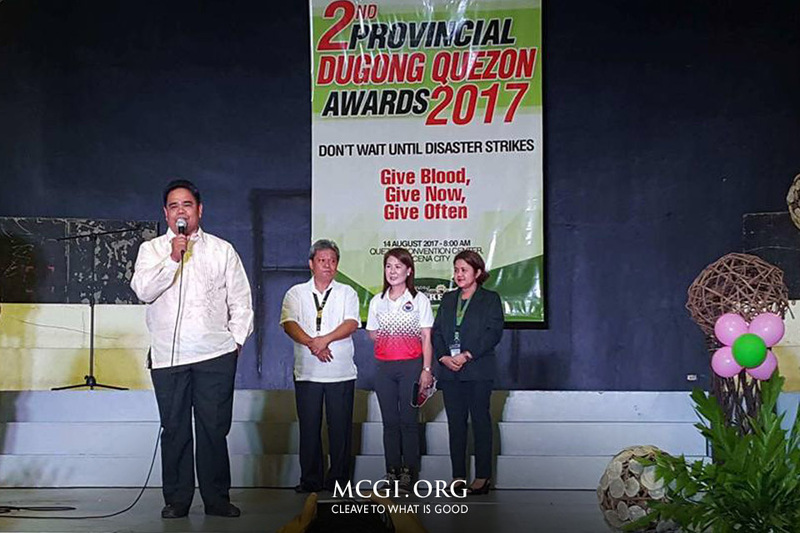 The Quezon provincial government also presented accolades to some individuals in the province, which included Bronze Galloner Awardee Bryan Ramos, a person with disability who has already made over 30 regular blood donations. “We are happy because through the simple act of blood donation, we were given this recognition,” Mr. Ramos expressed. 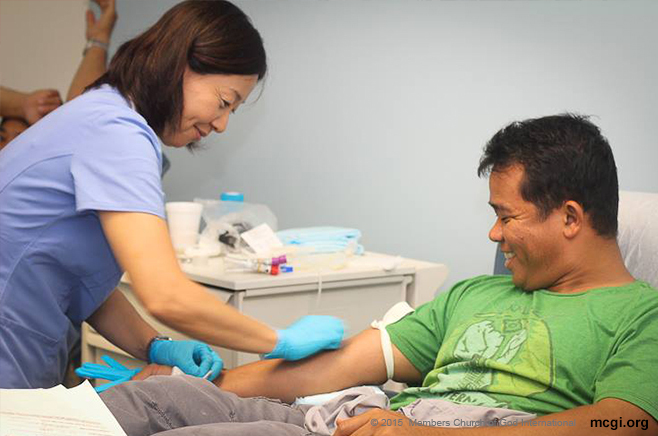 MCGI, one of the Philippines’ most active blood donor group, promotes and regularly holds mass blood donation drives among its members across the Philippines and in various countries such as Australia, Africa, Canada, Singapore, USA, and nations in Latin America.